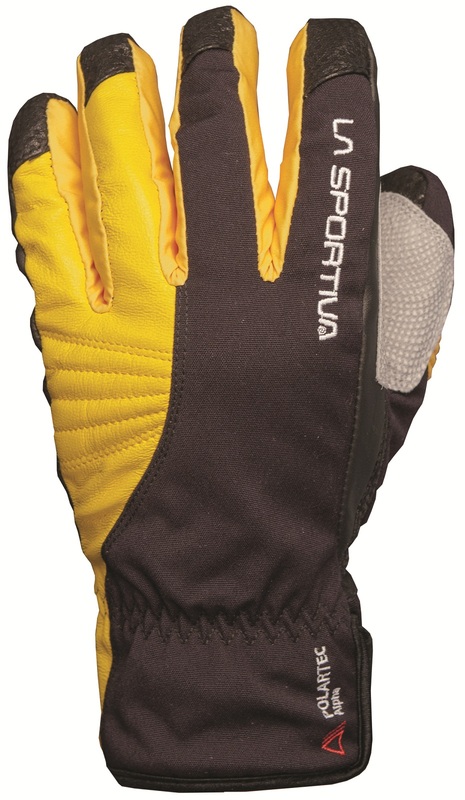 When your quests are of a more technical nature, you can call on the La Sportiva Tech Gloves. Designed for ski mountaineering and mixed climbing, the technology-laden gloves have movement-mapped fabrics designed for maximum articulation. Velcro wrist-closures keep the snow and ice out while sticky pads keep you attached to the rock. Leather reinforcements strategically reinforce your tool grip and protect the back of your wee-fingers when they are pinched against the wall. The Tech gloves are lined with Merino wool and lightly stuffed with Polartec Alpha insulation so your hands won’t end up frozen while up against it. Sized XS-XL so everyone can get their Tech on. Different nylon / spandex blends on top and bottom balance protection and movement. 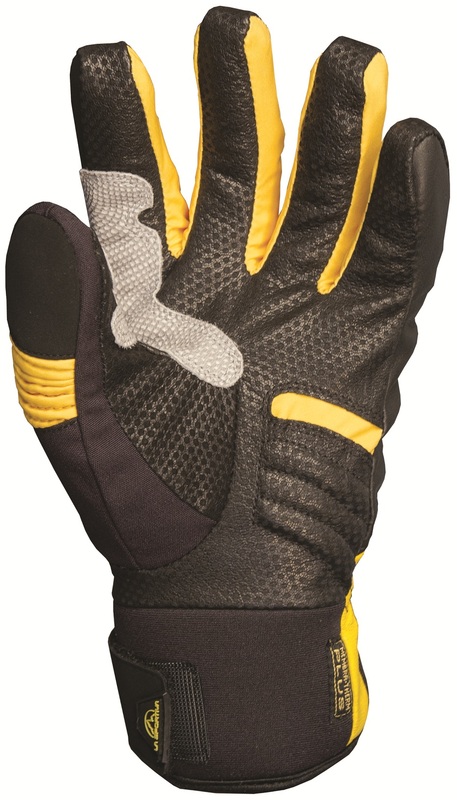 Leather grip zone and back of little fingers protect wear areas from said wear. 50% Merino wool / 33% polyester / 17% polyacrylic lining provides warmth and comfort. Polartec® Alpha insulation on the back of the hand is warm yet breathable. Velcro and elastic wrist straps easily adjust over or under your jacket.